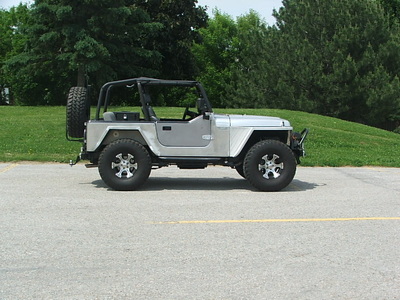 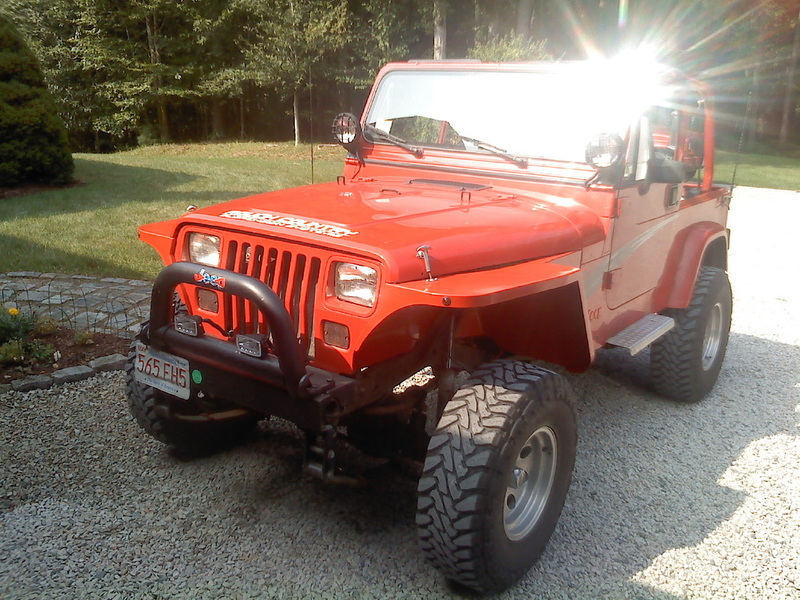 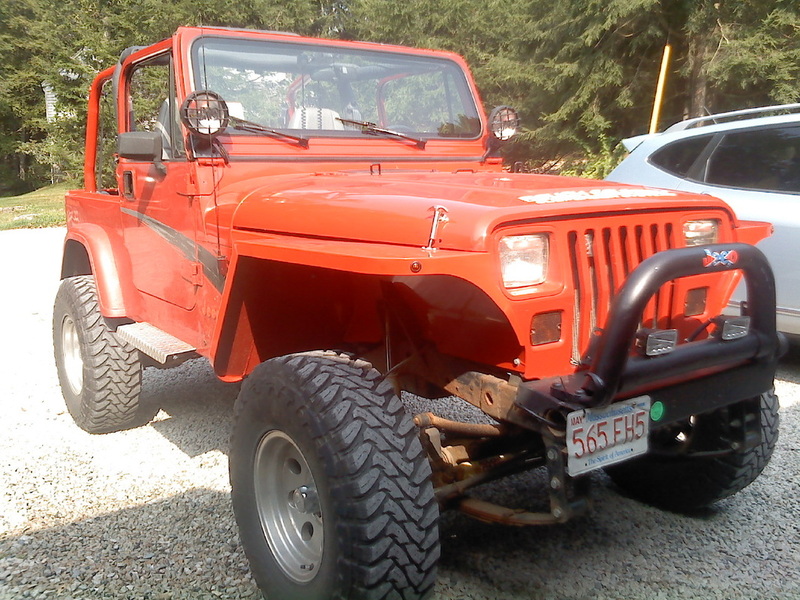 These YJ High Hood Fenders are available in stock width (#5220-0), 3" wide, (#5220-3) and 6" wide (#5220-6). 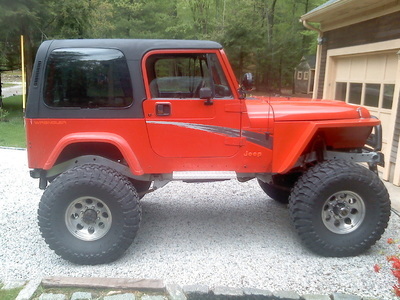 Customer can fit a larger size tire without lifting truck. 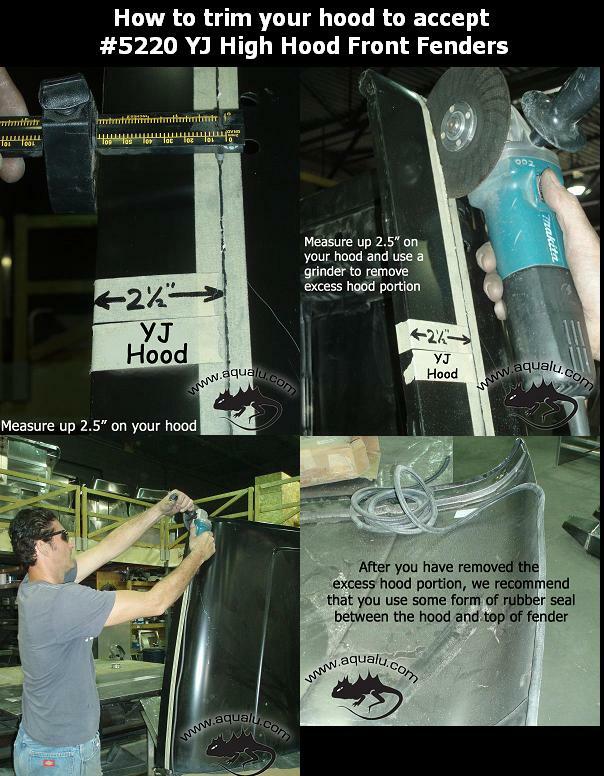 Your stock hood must be trimmed 2.5” to accommodate fenders. These fenders will allow you to run approx. 6” larger diameter tire. 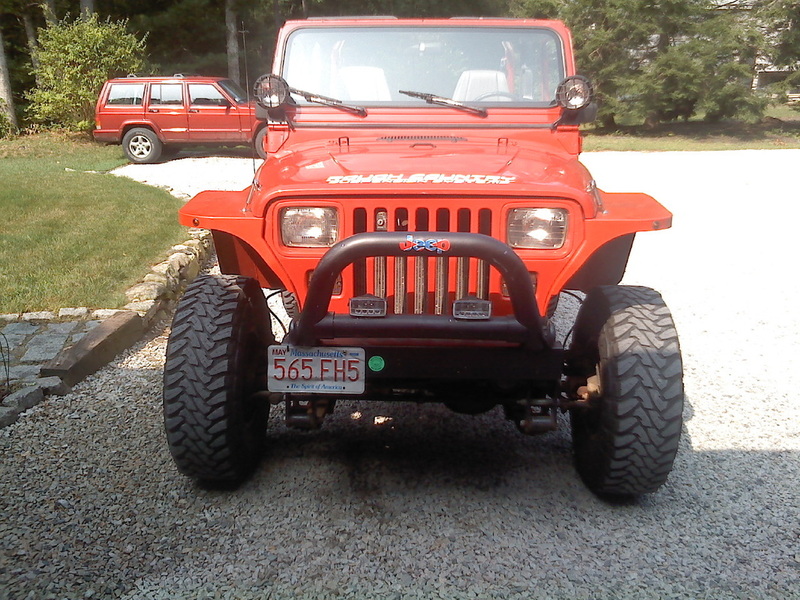 Left and right front fenders; mounting hardware not included.